Business to Arts and leading corporate law firm, A&L Goodbody, have today announced author Catherine Ann Cullen as the 2016 Writer in Residence under the Docklands Arts Fund. Catherine will work with children at St. Joseph’s Co-Ed Primary School in East Wall to develop their creativity and literacy skills. 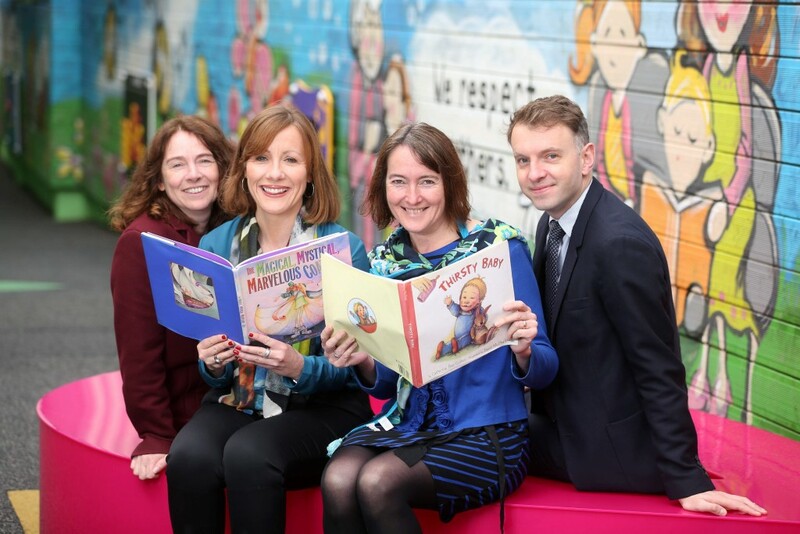 The Writer in Residence role will see Catherine working with pupils at St. Joseph’s, participating in literacy workshops and supporting Business to Arts’ wider civic programme of promoting the Arts collaboratively through businesses and communities. The venture marks the first time that a business in Ireland has engaged a Writer in Residence programme with Business to Arts and Dublin City Council. As part of the partnership, A&L Goodbody will also provide funding for the programme worth €30,000 over three years. Catherine Ann Cullen to date has published three collections of poetry The Other Now (2016), Doghouse, Strange Familiar (2013) and A Bone in My Throat (2007). Her children’s books, Thirsty Baby (2003) and the award-winning The Magical, Mystical, Marvellous Coat (2001), were published by Little, Brown in the US. Her work has been anthologised including in If Ever You Go: A Map of Dublin in Poetry and Song (Dedalus 2014). She won the Francis Ledwidge International Poetry Award in 2009 for her poem ‘Scooter’. She is a former producer with RTÉ Radio 1, and writes occasional pieces for the Sunday Miscellany programme. If you are a business, organisation or individual based in Dublin’s Docklands and would like to support the Docklands Arts Fund, please get in touch. For further information on the Fund see here.